Provide comfort for the family of Richard Gibson with a meaningful gesture of sympathy. 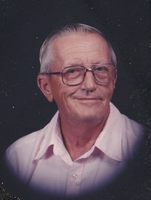 Richard Roy Gibson, 89, of Sutton, WV passed away Friday, March 29, 2019 at his home surrounded by his loved ones. He was born May 10, 1929 in Akron, OH to the late John Roy Gibson and Beulah (Stewart) Gibson. Also preceding him in death was his only brother, Thomas Gibson. Surviving is his wife, of sixty-five years, Nelda Sue (Singleton); daughter, Karen Gyurek, Fayetteville, WV; sisters Charlotte Pascoe (Frank), Dortha Grebenstein (Carl) and grandchildren, Tammy Groves, Johnathan Dunlap and Ryan Gyurek. Also surviving are nine grandchildren; sister-in-law Jane Gibson of Buckhannon, WV and Doris Holmes (Ken) of St. Marys, WV. Richard served his Country in the United States Army and attended Stone Run United Methodist Church where he served many years as Superintendent. He was a Scout Master for twenty years and was awarded the Silver Beaver Award. He enjoyed the outdoors whether he was fishing or hunting. He will be greatly missed by all who knew him. Family will receive friends Monday, April 1, 2019 from 6-8 pm at the Stockert-Paletti Funeral Home, 368 Flatwoods Corner Road, Flatwoods, WV 26621. Funeral Services will be held Tuesday, April 2, 2019 at 1:00 p.m. in the Stockert-Paletti Funeral Home Chapel. Internment will then follow in the Little Kanawha Memorial Gardens, Heaters, WV where he will receive full Military Honors conducted by the American Legion Post 33. Fond memories and condolences can be shared with the family at stockert-paletti.com. The Stockert-Paletti Funeral Home of Flatwoods will be assisting the Gibson Family in honoring the Life of Richard Roy Gibson. To send flowers in memory of Richard Gibson, please visit our Heartfelt Sympathies Store. Provide comfort for the family of Richard Gibson by sending flowers.